Orlando Therapist: Darlene Treese - Therapist 32835. Send A Message To Dr. Treese. 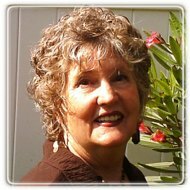 Darlene Treese, PhD, is a highly trained professional with two masters degrees and has been in private practice since 1983. "A person for the people", Dr. Dar specializes in hypnosis, counseling and life coaching for individuals, groups and families. She has worked extensively with physicians and health care professionals to help patients overcome a variety of problems and has served as President of the American Psychotherapy and Medical Hypnosis Association. Her professional approach is action and solution oriented, designed to bring immediate relief and lasting results. Darlene has also been acknowledged internationally for her seminars and management training for small businesses and corporations. She is the author of 2 books as well as several CD and mp3 albums. Darlene has produced the radio show "Living On Purpose" and is a frequent guest on radio and television. Her newspaper columns and newsletters are read throughout the country. For you, the client, this means that Darlene has developed a unique approach to effectively meet your needs. She provides each client a detailed Plan of Care so that each session is individualized and valuable. She has a wealth of knowledge and vast experience to help you reach your goals in the manner and approach that works best for you. Darlene's Counseling and Mediation processes work out acceptable solutions to conflicts and problems. These may be done on an individual, couple, family or group basis. In counseling, Darlene helps assess the real problems and facilitate solutions. In mediation, she uses a more structure format to discern facts, isolate issues, help create alternatives, clarify and write a mutually accepted agreement. Use Counseling Or Mediation To:*Resolve Disputes *Clear Up Past Problems *Reach Win-Win Agreements *Establish Better Relationships * Define Future Course Of Action *Understand Self and Others * Identify Alternative SolutionsThere is no part of life that is completely devoid of conflict. Learn how to establish agreements that are specific, measurable, attainable, reasonable and timely. Coaching helps you define your goals, establish an action plan, and aid you to bring projects to completion. Some CEOs use Dr. Treese as an objective sounding board; some professionals use her to help prioritize and balance conflicting demands and prevent burn-out; some companies use her for management training and employee relations; some business owners use her to stay focused and on track. Please contact us today at 407-278-1598 to schedule a free telephone consultation to see how we may help you. It's truly an honor to be of service to you!